Welcome to 3837 Chalfont Drive! 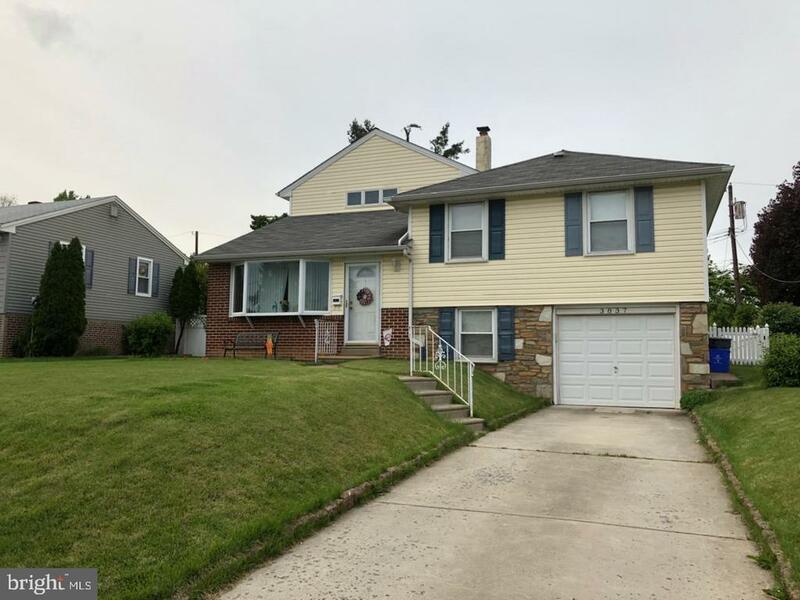 Dont miss your opportunity to see this rarely offered 4 bedroom, 2.5 bathroom single family (split-level) home in the highly desirable Chalfont section of Northeast Philadelphia. A full 20X20 two-story addition was added to the original house in 2003, which added roughly 1000 extra square feet. Enter the house into the formal living room, which includes a beautiful bay window that allows ample natural sunlight into the house. This room could also be used as a formal dining room. Continue through to the updated eat-in-kitchen that boasts granite countertops, a large peninsula, 42 inch cabinets, and over/under cabinet lighting. The large 20x20 family room finishes off the main level. There is plenty of space to entertain your friends and family. There is an exterior door in the family room that leads to the professionally installed paver patio. The large fenced in rear yard is on flat ground and contains a shed for all of your outdoor tools. Moving upstairs you will find three well sized bedrooms in addition to an updated full bathroom. All bedrooms are equipped with ceiling fans. The third and final level of this house contains a large, isolated master suite. The relaxing master retreat contains a large 20x20 bedroom area, two walk-in closets, and a full bathroom. The basement includes a finished area that can be used for added entertainment/toy/kid room. The basement also contains the laundry room, powder room, mechanical room, and inside access to the garage. The property has a great location for shopping, public transportation, and major highways (I-95 and Route 1). Set up your appointment to see this property today!